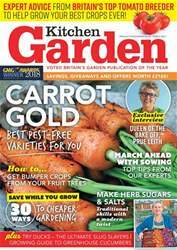 Digital Subscriptions > Kitchen Garden Magazine > 258 - March 2019 > WHAT’S NEW? Metaldehyde slug pellets will be banned in 2020, following a long campaign by environmentalists. A UK ban on the outdoor use of metaldehyde is to be introduced from spring 2020. The decision to prohibit the use of metaldehyde, except in permanent greenhouses, follows advice from the UK Expert Committee on Pesticides and the Health and Safety Executive that metaldehyde poses an unacceptable risk to birds and mammals. Concerns have also been raised about metaldehyde contamination of drinking water – although this was apparently not a factor in the decision. Announcing the ban, Environment Secretary Michael Gove said: “I encourage companies and growers to look at the alternatives, such as ferric phosphate, which is authorised and does not carry similar risks.” Ferric phosphate slug pellets are approved for organic use, as uneaten pellets break down into iron and phosphate, which occur naturally in the soil.